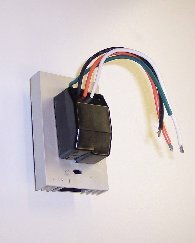 neon dimmer, neon sign dimmer, neon dimmers, neon sign dimmers, plug in neon dimmer, plug in neon dimmers, plug-in neon dimmer, plug-in neon dimmers, diversified comonents. This type neon transformer is also known as a "Core & Coil". Conventional neon transformers have been around since day one lighting neon. 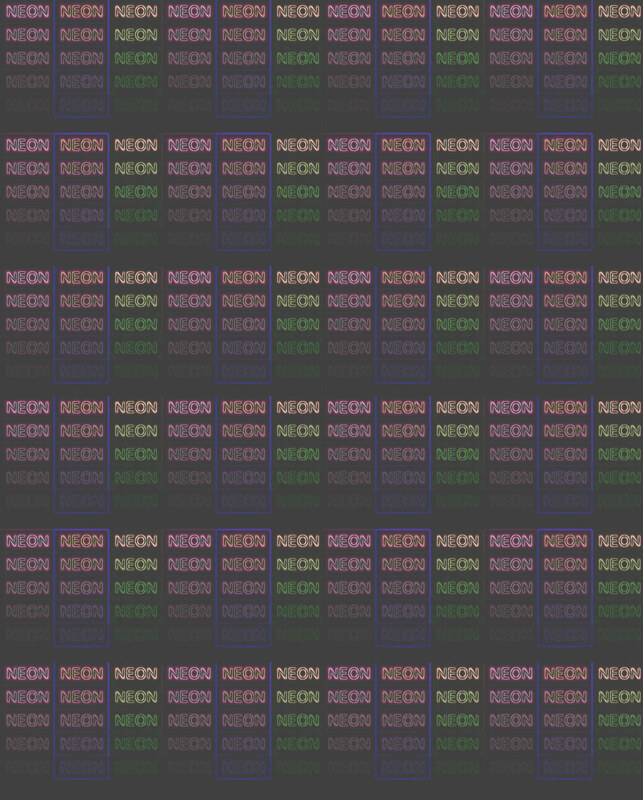 This type neon transformer is relatively new technology, powering neon for approximately the last 20 years. Most new Beer advertising neon signs come with Electronic type neon transformers. 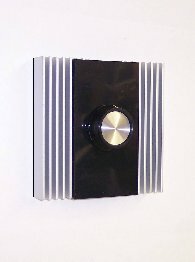 * In-Wall mount neon dimmer. as well as on/off function. 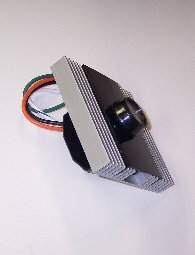 * Compatible with all brands of Core & Coil/Magnetic transformers. * 5.2 Amps Maximum load. * For core & coil type transformers. * Not for electronic transformers. * Mounts into a single gang electrical box. * Trim plate not included. * Lightweight & dependable solid-state construction. * Six Month Limited Warranty. 1 - 5 $149.95 ea. 6 - 11 $147.95 ea. 1 - 5 $239.95 ea. 6 - 11 $235.95 ea. 1 - 5 $274.95 ea. 6 - 11 $272.95 ea. * 8.3 Amps Maximum load. than the dimmer max amp rating. or higher should operate as intended. THIS DIMMER CAN NOT BE RETURNED DUE TO IT'S ELECTRICAL NATURE. ALL SALES ARE FINAL. NO RETURNS. NO REFUNDS. NO EXCHANGES. EACH DIMMER IS SCRIBED WITH THE ACTIVATION OF THE START OF THE SIX (6) MONTH WARRANTY PERIOD. 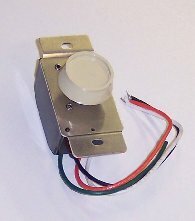 PURCHASER MUST RETURN ANY PROBLEM DIMMER, FREIGHT PREPAID, DIRECTLY TO THE FACTORY. THE FACTORY WILL DETERMINE WHETHER OR NOT THE UNIT IS COVERED UNDER WARRANTY. WEST COAST CUSTOM DESIGNS IS NOT INVOLVED, AND HAS NO SAY, IN THE WARRANTY DETERMINATION. NO WARRANTY IS OFFERED FROM WEST COAST CUSTOM DESIGNS. 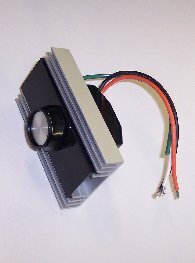 TO RETURN A DIMMER TO THE FACTORY, PLEASE CALL WEST COAST CUSTOM DESIGNS FOR A RMA NUMBER AND FACTORY RETURN-TO ADDRESS. * 12.5 Amps Maximum load. * Mounts into a double gang electrical box. built-in to plug your neon transformer into. 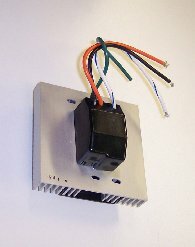 * Mounting tab for securing dimmer to wall outlet. * 3 AMP Maximum load. NOTE: THIS DIMMER CAN NOT BE RETURNED DUE TO IT'S ELECTRICAL NATURE AND EACH DIMMER IS SCRIBED WITH THE ACTIVATION OF THE WARRANTY PERIOD. 1 - 5 $79.95 ea. 6 - 11 $77.95 ea. transformers approximately 10% - 20%. * 5 AMP Maximum load. 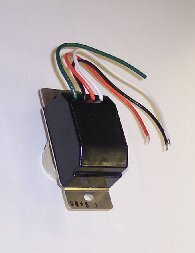 * 3 1/2" H x 2 1/4" W x 3 3/4" D.
THIS DIMMER CAN NOT BE RETURNED DUE TO IT'S ELECTRICAL NATURE. ALL SALES ARE FINAL. NO RETURNS. NO REFUNDS. NO EXCHANGES. EACH DIMMER IS SCRIBED WITH THE ACTIVATION OF THE START OF THE SIX (6) MONTH WARRANTY PERIOD. 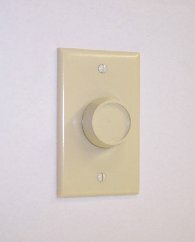 PURCHASER MUST RETURN ANY PROBLEM DIMMER, FREIGHT PREPAID, DIRECTLY TO THE FACTORY. THE FACTORY WILL DETERMINE WHETHER OR NOT THE UNIT IS COVERED UNDER WARRANTY. WEST COAST CUSTOM DESIGNS IS NOT INVOLVED, AND HAS NO SAY, IN THE WARRANTY DETERMINATION. NO WARRANTY IS OFFERED FROM WEST COAST CUSTOM DESIGNS. 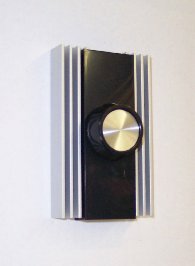 TO RETURN A DIMMER TO THE FACTORY, PLEASE CALL WEST COAST CUSTOM DESIGNS FOR A RMA NUMBER AND FACTORY RETURN-TO ADDRESS.